There’s something oddly haunting about putting anime characters in real-world environments. A few years back, a 4chan thread featured a slew of Photoshops showing anime characters added into real-world locations. The images ended up on numerous Japanese websites. However, most of the photos were made by the MS Insanity collective on VK.com, which is akin to Facebook in Russia and Eastern Europe. The collective continues to upload new creations that contrast anime characters with real-world locations. 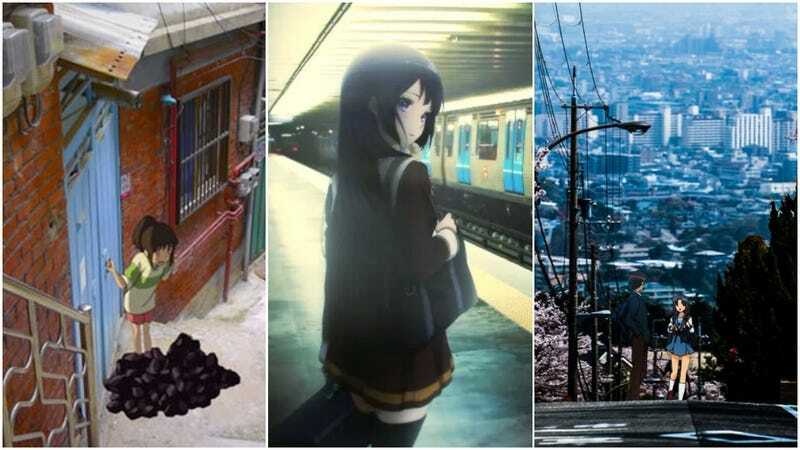 Japanese largest bulletin board 2ch recently pointed out that there have also been some of these Photoshops set in Japan, a location that naturally lends itself to anime characters. Though, I think I agree with the 2ch commenter who wrote that MS Insanity Photoshops are better.